The National Highway Traffic Safety Administration has launched a new investigation into the 2005-2007 Chevrolet Corvette over a concern that the high tech projection headlight system could shut off without warning. The government safety agency decided to launch this preliminary investigation after receiving 30 reports that the low beam portion of the projection headlight system in the 2005, 2006 and 2007 Chevrolet Corvette shut off during normal operation without any warning. Needless to say, having both of your headlights shut off while driving presents a significant safety risk to both the occupants in the Corvette and anyone else on the road when the Corvette driver suddenly loses his or her headlights. In total, 103,374 Corvette coupes and convertibles from those three model years are included in this fresh NHTSA investigation. There have been no accidents or injuries reported as a result of the Chevrolet Corvette headlights malfunctioning but in one of those 30 reports to the NHTSA, the driver hit a tire laying on the side of the road as he pulled his Corvette off of the road when the headlights failed – an impact that likely caused some damage to the low slung sports car. Fortunately, when the low beam portion of the headlights die, both the high beams and fog lights will still work so the driver will be able to get the car off of the road (or even all of the way home) without the low beams. Unfortunately, the fact that the high beams work doesn’t make a sudden loss of your headlights any less dramatic…it just means that the driver won’t be stranded in the dark when the low beams fail. According to the Detroit News, owners believe that this low beam headlight failure is due to a problematic fuse block under the hood. One owner in Arizona had his low beam headlights fail one night while driving home. He was able to get home with the high beams and the next day, his low beams were working again but after five minutes of operation – the low beams once again shut down. A trip to a mechanic revealed that the fuse block was in need of being changed but the driver declined due to the high cost of the part. This same owner searched the internet for a solution and he found that the problem can be remedied by putting a bag of ice on said fuse block. The headlights began working normally after about 10 minutes of chilling. A preliminary investigation by the National Highway Traffic Safety Administration could be the first step to GM being required to recall the Chevrolet Corvette but it should be noted that a great many investigations end without any further action being required by the feds. Should the government find that the 2005-2007 Corvette has an issue that makes the low beam failure likely, the NHTSA will advance the investigation to the engineering analysis stage and after that comes the recall if the feds deem it to be necessary. At the same time, General Motors could accelerate the process and move to replace the questionable item (be it a fuse block or something else) without the government requiring a recall of these sports cars. 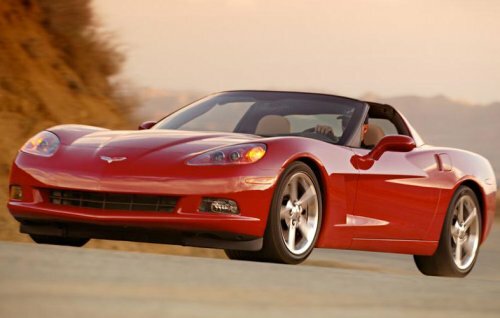 Should further action be required by the NHTSA, it will be interesting to see if the recall applies only to those 2005, 2006 and 2007 model year Corvettes. The Corvette has used similar headlight designs from 2005 through the current 2013 model year so unless some portion of the electrical system was revised after the 2007 model year, GM could have to recall the other models from the 6th generation of the fabled Corvette.